For smokers across Canada, the federal legalization of marijuana can’t come soon enough. After a few delays, the rollout is currently slated for the end of the summer. But for one police department, time might be more pressing. 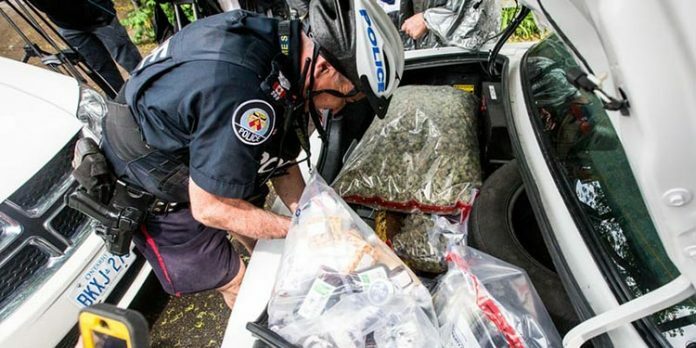 According to a police superintendent in Hamilton, Ontario, the cops have run out of storage space for all the illegal cannabis they’ve confiscated. 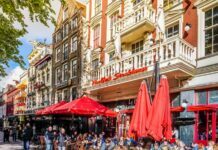 As the country moves towards legalization, busting the not-entirely-legal-yet dispensaries has been a contentious matter. Soon after Justin Trudeau’s election victory in 2015, and his reiteration about the priority of pot legalization, gray market dispensaries began popping up like, well, a weed across the country. It didn’t take long for these dispensaries to be the subject of raids, one of the largest being Project Claudia, which struck a number of pot shops across Toronto simultaneously. Police officials said they were clamping down on illegal activity and keeping edibles away from kids, though some were skeptical about the purpose of such large gestures just ahead of a new drug policy. Even if it’s just pageantry, Hamilton simply can’t afford to bust any more dispensaries. With 46 known illegal dispensaries, Hamilton has some of the most weed per capita in Ontario. When they are hit by police, stations are swamped with contraband that requires testing, while the only people booked are typically part-time budtenders. Diodati told the Hamilton council how trivial these raids were becoming as the department was slim on time and resources to manage all the incoming weed stuffs. Processing goods can take over 100 hours. Sending these drugs to an offsite storage facility would raise obvious security concerns, Diodati added. The worst part is that the personnel tasked with dispensary raids have much better things to do with their time. The opioid crisis in Hamilton is twice as severe as it is in most of the rest of Ontario.